Ever wondered how you can visit Siquijor when you are on limited time and budget? 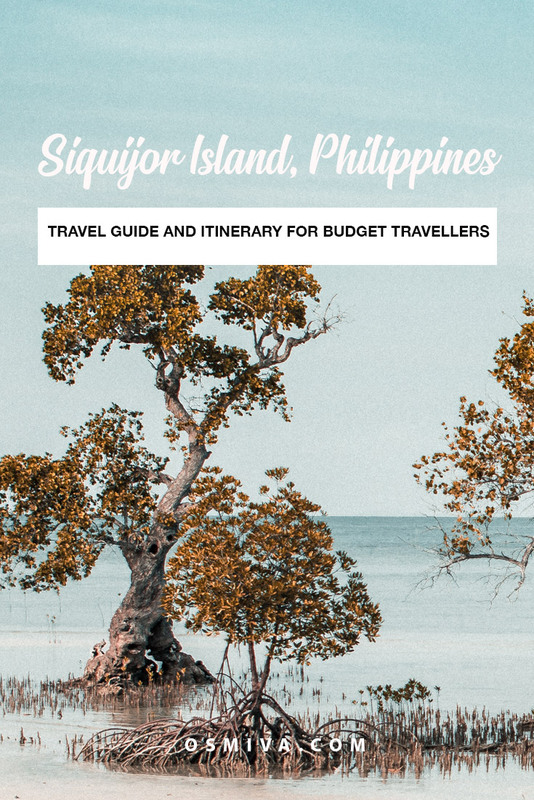 If yes, here is a detailed Siquijor travel guide itinerary on how you can make the most of your visit. When we visited Siquijor, most of our plans came up impromptu. Confirmations of our travel companions was mostly last minute as well as our itinerary. So I wasn’t really expecting anything. Just a day out with friends. We were not even looking forward to the transit going to Siquijor as it would require us 6 hours of land travel. And my husband was not a fan of it, TBH. But after much convincing and a bit schedule change, he finally said yes! And off we go! Disclosure: We use affiliate links on this post. Meaning, if you book any hotel/ resort by clicking on the link, I earn a commission at NO EXTRA COST to you. Thank you for reading the blog! We left Cebu on a Friday at around 1PM. Our initial plan was to leave at night so we can just spend the bus ride sleeping. But after much discussion, we decided it was best to leave at another time to avoid the crowd. We assumed that most people will be going home south on Friday night. To avoid the influx of passengers, we decided to leave earlier that day. If you are from Cebu, there is only one direct option that’ll take you from the city to the island. And that is taking the ferry from Pier 1 to Siquijor. Though it will take you first to Tagbilaran before docking to a port in Siquijor. If you are already in the southern part of Cebu, like Moalboal or Badian, take the bus going to Santander and then from there take the boat going to Larena, Siquijor. As of writing, there are two boat schedules daily (10 AM and 5 PM respectively). First is to take the plane going to Dumaguete City. Fares vary depending on the date when your flight is booked. If it’s in advance and part of a promo, you can get tickets as low as 500 Php per way. You can always stay the night in the city before taking the boat to the island. 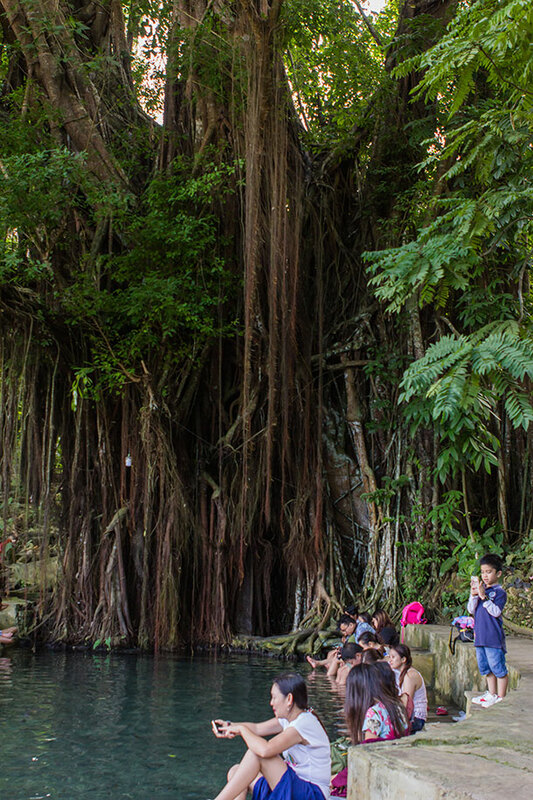 If you have days to spare, maybe do some side trips first before heading to Siquijor. The Manjuyod Sandbar and Apo Islands are two local favourites! Taking the bus to Dumaguete from Cebu is by far one of the cheapest option. Fare was just at 270 Php for the bus and travel time was for 6 hours, including the barge. 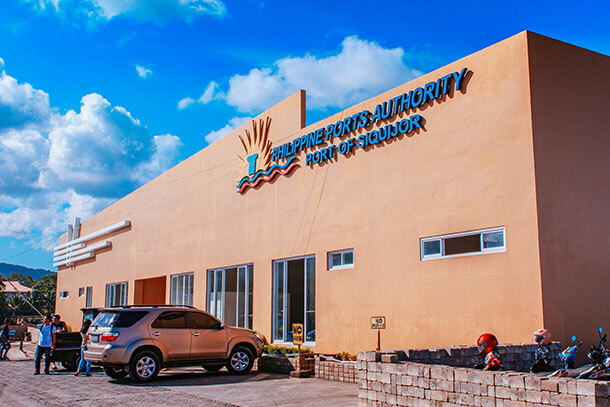 Simply go to the South Bus Terminal in Cebu City and take the bus going to Dumaguete City. The bus will stop at the Santander Lilo-An where you will need to ride the barge crossing to Sibulan Port in Negros Oriental. Barge travel time is around 30 minutes and you will have to pay 70 Php for the fare. 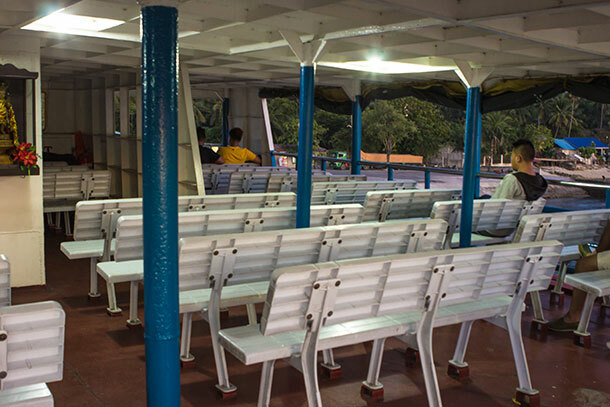 Once you arrive at the port, you will need to go back to the bus for the remaining 30 minutes journey to Dumaguete City. If you are from Manila, the option is to pass through Dumaguete City too. There are commercial flights from Manila to Dumaguete City too. Be sure to watch out for promo fares to make sure you get the best deal! So you have arrived in Dumaguete City, so what next? Well, by this time you will just have to take the ferry going to Siquijor. There are slow boats and fast crafts going to the island from Dumaguete City. Most have daily trips so if you miss one, you can still take the next boat. As of writing, fare for the fast craft is at 250 Php per head. Travel time is at 40-45 minutes. The slower boat costs at around 125 Php. Travel time is at 1-2 hours. For more information regarding the boat schedule, you can also check out the shipping schedules. Siquijor is a tiny island. It’s actually one of the smallest in the Philippines. One of the main mode of transportation here is the habal-habal or motorcycle/ scooter. You have the option to rent one if you want to get around by yourself too. When we visited, the rental fee was at 350 Php for the entire day. Most rental services will probably not ask for a license to let you rent one. But for safety purpose, be sure to bring your driver’s license with you. You will also need to have proper gear when you use the scooter. Another mode of transportation is the tricycle. This is a good option for small groups going on a Day Tour. The price ranges from 1,000 Php to 1,200 Php. When we visited, a tricycle was our service vehicle while on the Coastal Tour. There were five (5) of us in the group. I think the sitting capacity would be six (6) persons. For the usual fare of the motorcycle, price is at 10 Php per head if within the same town. If into another town, the fare is at 30 Php per head. 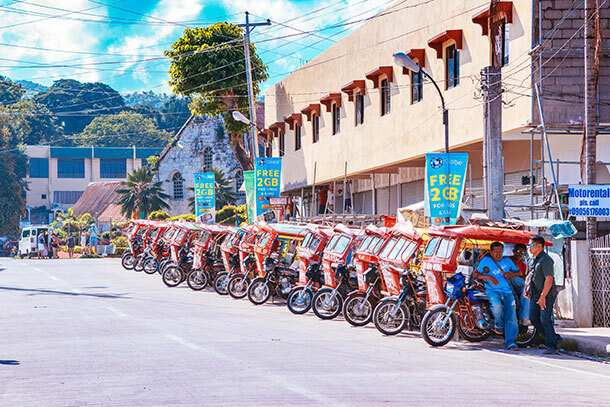 There are also jeepneys or multi-cabs servicing other towns in the island. But it’s too few so you’d seldom see one while going around. If you are going up the mountains, multi-cabs are the preferred mode of transportation aside from the motorcycle. Rental is at 1,800 Php good for 15 persons. For bigger groups going on a tour, vans are also available for you. Rent is at 2,500 Php. Despite being small, there are plenty of fun and exciting things to do in the island and points of interests. The island is also scenic that you’ll fell in love at first glance. 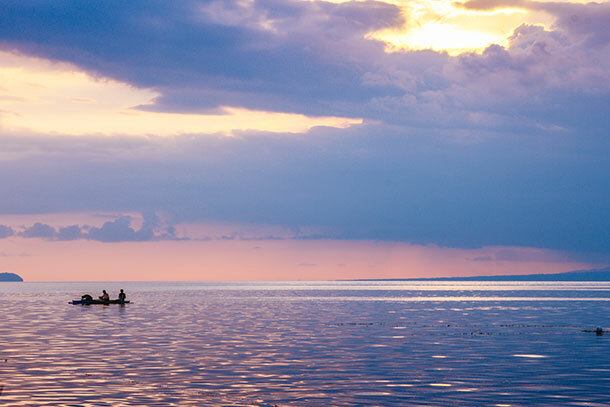 Plus, there are so many photo-worthy places that you’ll have a field day just snapping beautiful photos of Siquijor! 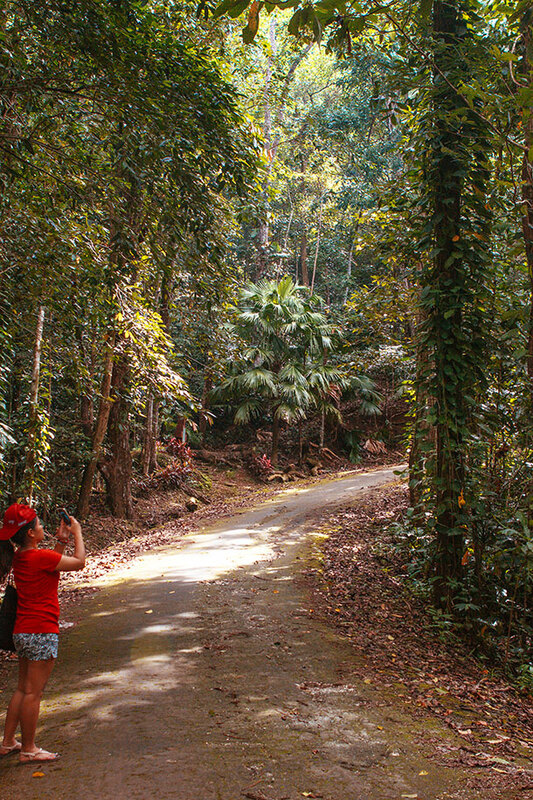 Most tourists visiting the island will be taken to two different tours: the Mountain Tour and the Coastal Tour. If you are wondering which one is the best for you, below are some of its highlight. The Siqiujor Coastal Tour will basically take you around the island for an entire day. Before availing, make sure to plan your itinerary ahead for stops you’d like to spend hours in. From a glance, it may seem like there’s nothing much to see here. Just the restaurant at the second floor of the main building and a century-old balete tree. But when you get inside after paying the entrance fee, you can enjoy a nice and relaxing fish spa (or rather a ticklish one. LOL). 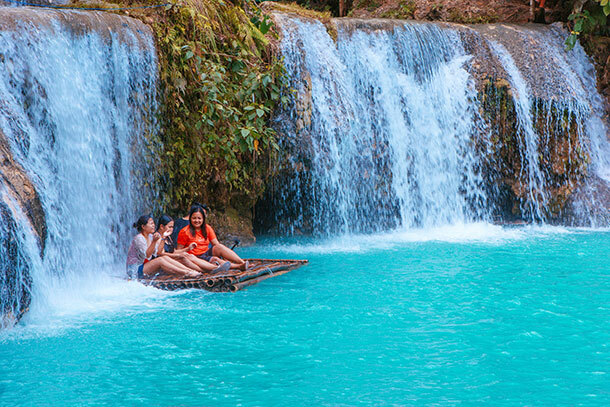 Another stop on your coastal tour, and one of Siquijor’s main tourist attraction is the Cambugahay Falls. It’s a multi-layered falls that is a favourite among tourists and locals alike. Enjoy a day of waterfall jumping and trying out the Tarzan swing. We stayed here for about an hour or two. But you can definitely spend an entire day here. Just bring food and you’re good to go. 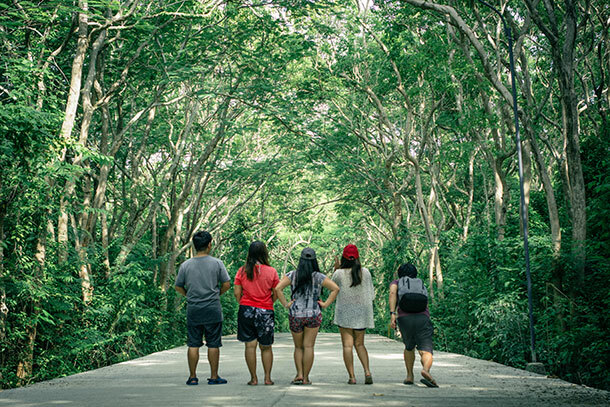 So you’re probably asking why I did include this… There’s nothing much to do here, TBH..
Just a nice stretch of Molave trees on the road, a gorgeous spot for photos and videos. But what made this particular place enticing is the relaxing ambiance that the trees offer. 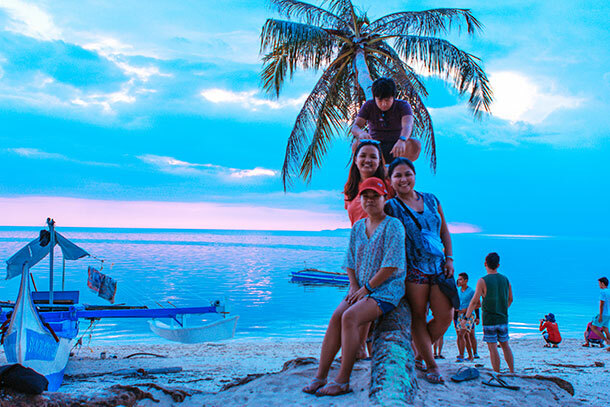 We have made a detailed Siquijor travel guide on the places to visit on the Coastal Tour, so be sure to check that out. The Coastal Tour takes up an entire day. It’s best to start in the morning so that you won’t be rushed. During our visit, we always had views of the ocean. And from what I can see Siquijor’s beaches are one of the best in the Philippines. I love how Salagdoong Beach has got the bluest ocean I’ve seen so far and the clearest. There are plenty of things to do here including banana boat, kayak and the most popular one: Cliff Diving. Paliton Beach is said to have the most beautiful sunset in the island. Unfortunately, we weren’t able to witness this when we visited. The sky was cloudy then but the water was calm. The sky was the perfect backdrop to our photos too. A visit to the Paliton Beach is also included in the Coastal Tour. You can definitely choose to spend more time here. The hostel we were staying in was located in San Juan. It was located fronting the beach. Unsurprisingly, the beach was beautiful too like the rest of Siquijor. I fell in love with the beach front and the relaxing ambiance. There were not too many people lounging around when we were there. Too bad we were only their overnight. It would’ve been great to have swam in the ocean for a couple of hours. Another must-try activity when in Siquijor is the Mountain Tour. It’ll basically take you to two Siquijor points of interest: Mount Bandilaan and the Cantabon Cave. The tour takes up about 4 hours in total. Personally, the best time to do this is in the morning. I find the Cantabon Cave spelunking the highlight for the entire tour. It was fun slipping and sliding through the cave and just seeing wonderful stalagmites and stalactites. If you visit, be sure to take some time swimming at the cave pool on your way back. It is a great way to let off steam and for relaxing. 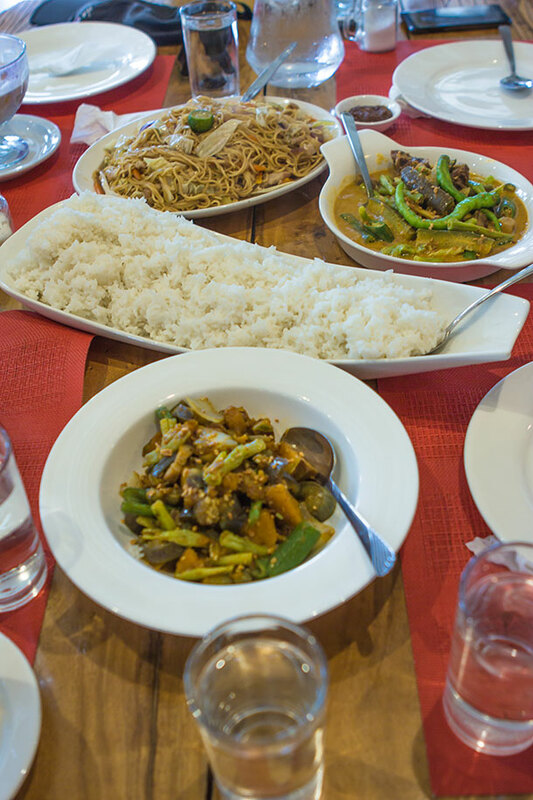 A Siquijor Travel Guide Itinerary wouldn’t be complete without giving out recommendations on where to eat. If you are visiting the island, one of the things that you should take note is that there are no fast food chains in the island. You’ll be supporting local entrepreneurs with their eatery and restaurants. 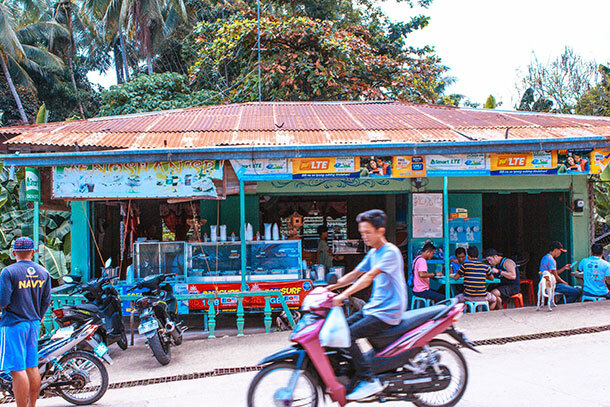 When we visited, we were taken to various food stops in the island. The food were delicious, filling and affordable. Jenoshanise is an eatery located near the Lazi Church and Convent. It’s just along the road and can’t be missed. The food was affordable and satisfying. We already bought 3 viands and 2 rice for a total of 115 Php only. Pan De Bisaya is a local bakery that cooks their bread outside on a traditional oven made of stones. 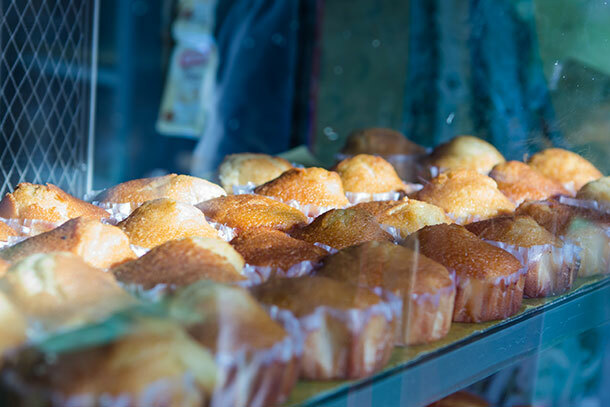 Visiting the bakery is also included in the Coastal Tour so be sure to buy some of their bread for snack. My husband is rather partial to their cheese bread and I could understand why. They have generous portions of cheese and he does love cheese so much! For dinner we ordered some grilled food at Ga-ay. It’s a ‘Sugba-Sugba’ or grill and barbecue fast food in the island. They have affordable meat and fish options, and some veggies too. It was just a few meters away from our hostel in San Juan. Our guide recommended this and we’re happy that he did. The food was delicious and and affordable too. Our guide brought us to Joel’s Lechon Manok for breakfast the following day. And no, we did not have any lechon manok (roasted chicken) when were there though. LOL. It was just plain breakfast food which was very filling. The eatery is also located near the port so basically it was filled with early morning commuters. After the Mountain Tour, we had our lunch at a restaurant called ‘Bell View’. It was also near the port where we were taking the fast craft going back to Dumaguete. 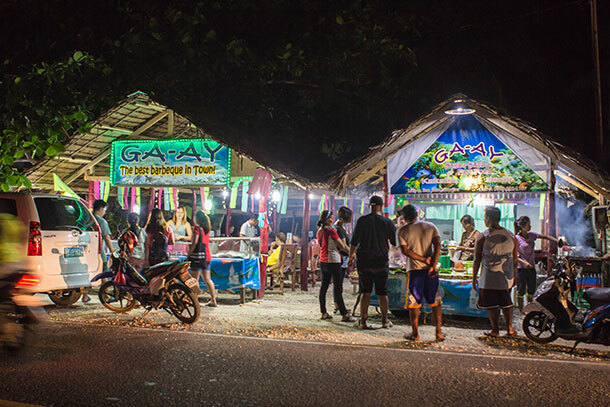 It was one of the more pricey places to eat in Siquijor. But one of the things that I liked about it was that they have generous portions. Just one comment was the speed of service, but otherwise, it was a filling lunch after the tiring adventure at the Cantabon Cave. 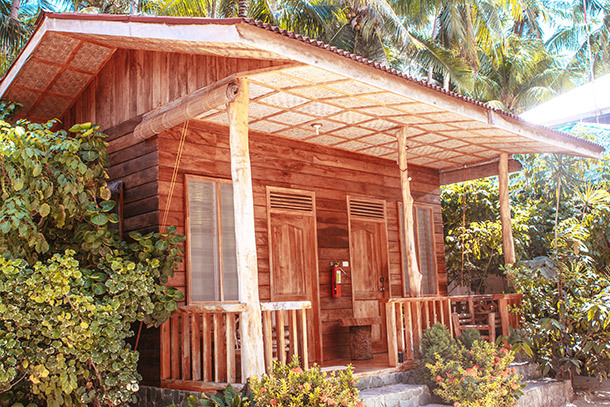 If you are at the point of asking where to stay in Siquijor, we have some great options for you. We stayed here while visiting the island and I must stay I love the location. Not to mention the relaxing ambiance that this place offers. They do not accept reservations for overnight stays, so you might as well walk-in for reservations. Here’s a map to help you navigate. I will be writing a full review of our stay so stay tuned! 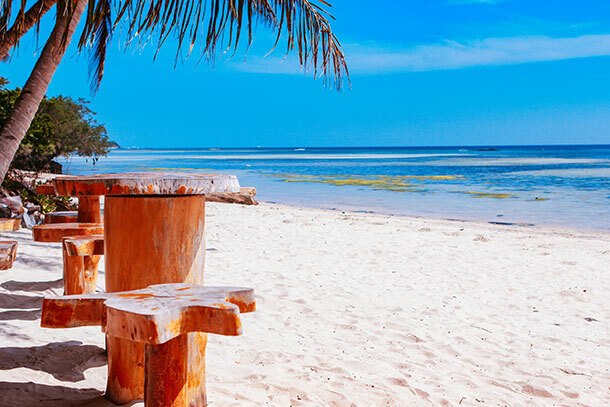 If you want a relaxing time in Siquijor for leisure, the Coco Grove Beach Resort is a great place to do so. It has 91 guest rooms to choose from and are fully equipped with television LCD/plasma screen, air conditioning, desk, mini bar, balcony/terrace. Recreational facilities are also available for use like boats, canoe, and other water sports activities. If you want panoramic views over Siquijor Island, the Infinity Heights Resort is a good option. The resort is ideal for those wanting to explore both the mountain areas of Siquijor Island as well as its white sandy beaches. Amenities and services include a car park, bar/pub, laundry service/dry cleaning, safety deposit boxes and restaurant. Our entire trip was for 3 days and 2 nights, not including the travel time from Dumaguete to Cebu. Basically, we just stayed for 2 days and 1 night in Siquijor. You might leave out our trip from Cebu to Dumaguete and just focus on Dumaguete to Siquijor to Dumaguete. We have also some spare time to kill on our third day so we opted to visit the Tierra Alta Resort in Valencia. We had our dinner there and spent the time enjoying the views. I wanted so much to visit here during our trip to Dumaguete, so it was a good side trip for me personally. Pro Tip: They have a designated time when they release tickets for the Ceres bus. Lines can be long especially on weekends where passengers are expected. Be sure to get your tickets beforehand. The ticket office is open by 5-5:30PM. We missed taking the bus on our way home. Thank goodness we had a local with us who speedily drove us towards the Sibulan port. The last trip going to Santander was leaving at 8PM and we were still in Dumaguete at around 7:30 PM. After a 25-minute race to the port, not to mention another 5-minutes sprint towards the ferry which was about to leave, we were on our way home. Like most budget travellers, we always prefer to look for affordable options especially when traveling with friends. The above list is an approximate summary of our expenses. You can still deduct and add a certain amount based on your itinerary. Our good friend from LUDIFY.Trips also arranged everything for us, including the transportation in the island and our accommodation. As it was a group travel, most our expenses were shared, thus making it cheaper. 1. Most activities in Siquijor requires you to get wet. Make sure to bring quick-dry clothing and non-slip foot wear. You’ll need this especially on your Cantabon Cave spelunking. 2. For short trips, be sure to pack light so that you wouldn’t have to worry about your stuff, and lugging them around. Proper planning of itinerary and of the clothes that you are going to wear is the key! 3. Bring cash with you as most places that you are going to visit doesn’t have ATM’s and won’t accept card. 4. Don’t forget to bring drinking water with you at all times and stay hydrated! 5. As always, be mindful of your trash and to not just throw it anywhere. Dispose them properly! 6. Heed your guide’s instructions when visiting certain places, like the Cantabon Cave and Cambugahay Falls. 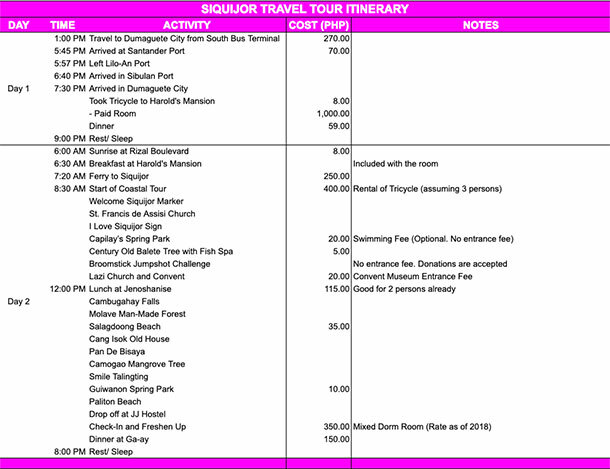 Hope this Siquijor Travel Guide itinerary have given you ideas on how to visit the island. Share your experience with us if you have already visited. We’d love to hear from you! Got questions? No problem! Ask away! This makes me want to visit the Philipines even more! It looks like heaven on earth! Wow, loved this amazing post featuring all the details of this unknown island to me. You are right about Salagdoong Beach. The water is so incredibly blue. I would love to try scuba diving off of Siquijor Island. I keep hearing great things about diving in the Philippines. This looks incredible! Cool guide too! I think I would be very tempted to stay my entire vacation at Salagdoong Beach. I think it’s great that you added the Molave Man-Made Forest. I’ve always wanted to walk on a street that was engulfed with trees like this! It’s so beautiful and looks like something out of a fairytale to me! One day we’ll have to visit the Philippines and Malaysia! 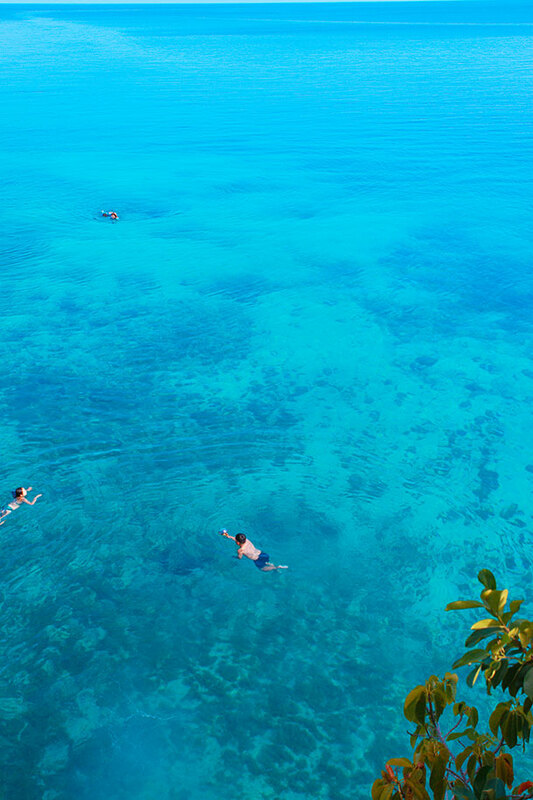 And when we do we’ll also go to Siquijor, even if we’re not big fans of activities that require to get wet. haha… It’s also good to know that we have to bring cash! In fact, this seems to be the case in most countries in Asia, and it’s something we’re totally not used to here in Europe. We rarely carry more than 10€ in our pocket and always pay everything with credit cards. Siquijor Island looks just amazing. I also love the water and think I need to get straight to Salagdoong Beach. The water looks incredible and it definitely seems like a beach where you could spend the entire day. Really nice post. Small suggestion — in your lede, mention the country, and not just the location. I am pretty well versed in geography, but even still, I had to check to be sure I was not wrong in assuming Siquijor was in the Philippines. 😉 That said, WOW does the water look amazing. Makes me want to jump in and start swimming. Your pictures and descriptions make Siquijor sound like such a beautiful place to visit! I appreciate the detailed directions about getting there from various places in the Philippines: this ensures I’ll be able to make it there myself someday! Cool place! 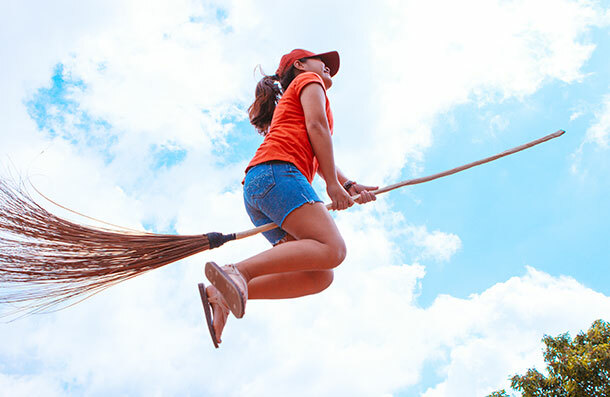 You’ve got all the bases covered and all questions answered except one—the broomstick challenge. I would love to know more. That is such a fantastic photo! Beautiful location! The scooters and tricycles sound like a great way to get around. I’d love to visit Cambugahay Falls.